Estee Lauder fragrance and perfume list. Founded in 1946 by Estée Lauder, this cosmetics and fragrance company also markets/owes the following brands: American Beauty, Aramis, Aveda, Bobbi Brown, Clinique, Coach, Daisy Fuentes, Donna Karan, Flirt!, Jo Malone, MAC, Michael Kors, Missoni, Origins, Prescriptives, Sean John Fragrances, Tom Ford, and Tommy Hilfiger. In late 2014, Estee Lauder Companies acquired Rodin Olio Lusso, Editions de Parfum Frederic Malle, and Le Labo. 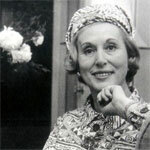 Read more about the history of Estee Lauder. Shop for perfume: Sephora - Free Shipping on orders over $50. Plus, 3 free samples with every order! , or Macy's - Accesorize at Macy's!